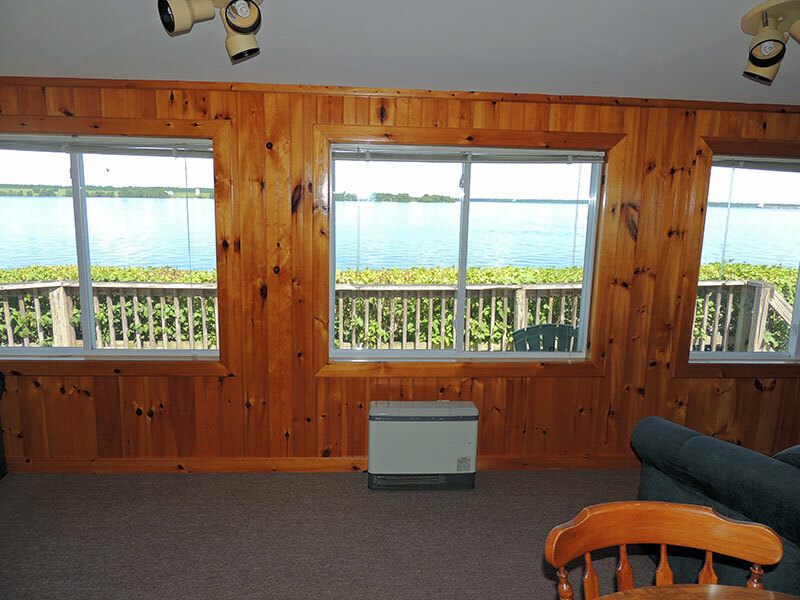 This waterfront three bedroom cottage is just steps from the river bank. 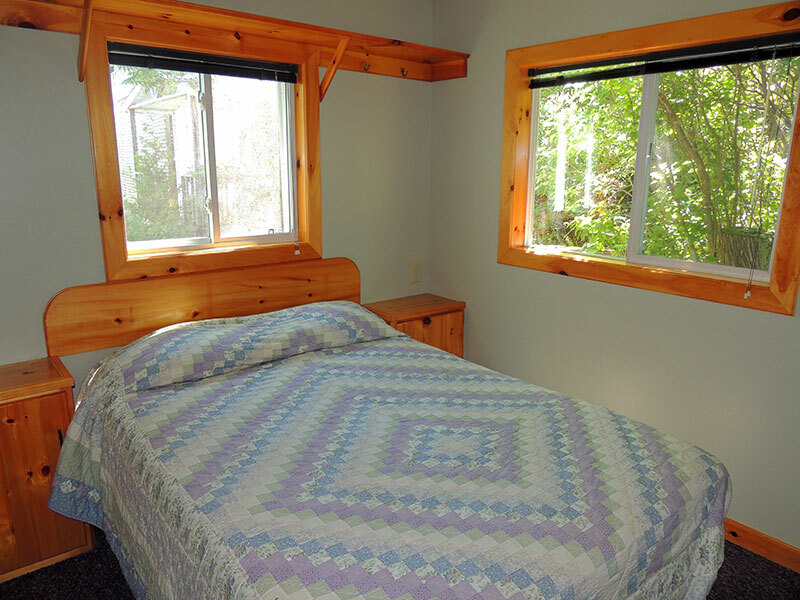 Each bedroom has a double bed, ceiling fans and a storage cabinet for your belongings. 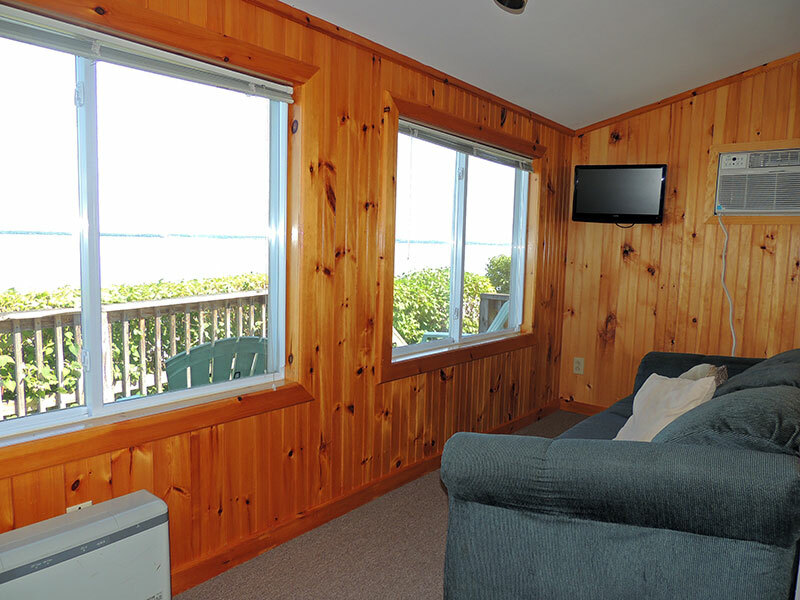 The entire front of this cottage is picture windows, offering an incredible view. Enjoy the large deck, along with the sizable water-view yard with access to a second small waterfront lookout deck. Adirondack style chairs add comfort and convenience to your deck and a picnic table brings the same to your yard. 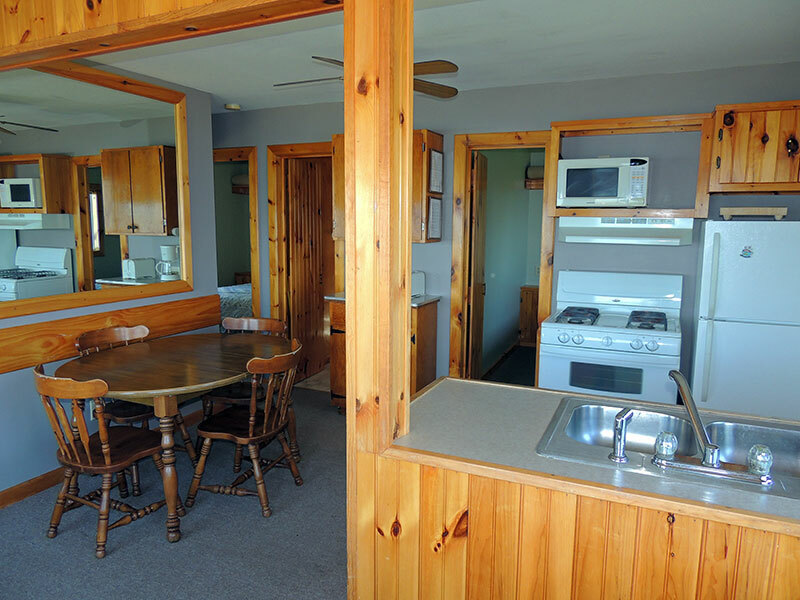 The cottage is fully equipped, with refrigerator, stove, outdoor gas grill, coffee maker, microwave oven, dishes, pots & pans, etc., flat screen TV with cable service, wireless internet, heat and air conditioning. 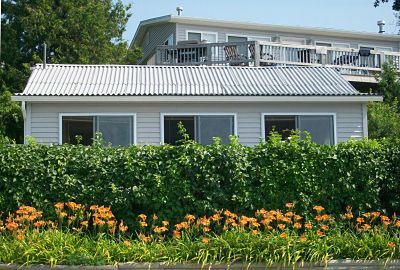 This cottage, along with our riverfront and dock area, is reached by stairs (view accessibility). 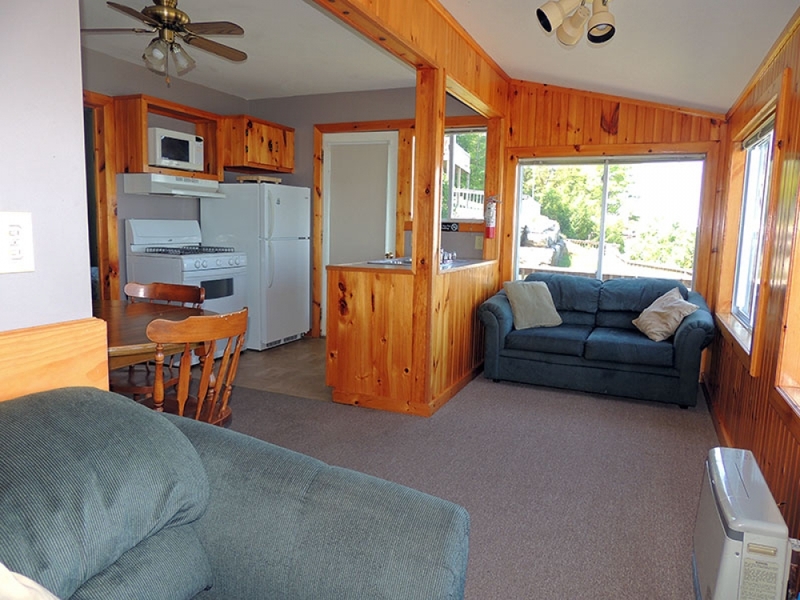 It is best suited for 6 people, accommodating a maximum of 7 people.